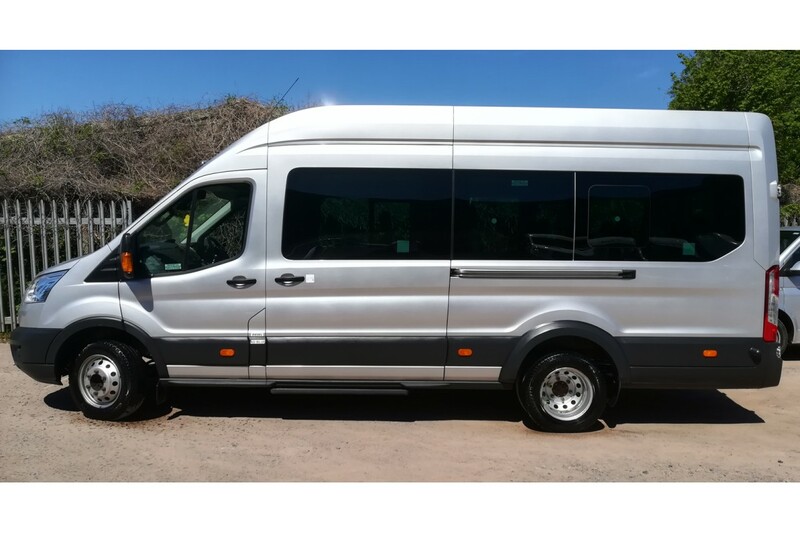 Gogobus.co.uk are proud to have received our new Ultra low emission 16 passenger minibus available for UK and Europe, school trips, airport transfers, cruise transfers, tours, day trips etc, plus with free luggage trailer. Complete with privacy darkened glass, duel air conditioning, reclining seats with arm rests and overhead storage. Don't forget the free luggage trailer. We are based in Essex and cover the whole of the UK and Europe. GOGOBUS currently holds a Restricted licence. "Fabulous all round! Martin was very friendly and helpful throughout the day. He picked us up promptly and kept us informed regarding collection. Lovely clean comfortable coach too. We will definitely use him again!" "What a fantastic service! Extremely punctual, polite and helpful. Extremely happy with the service provided and would highly recommend to anyone. Very affordable and fantastic communication!" "I highly recommend GoGoBus. We hired a 16-seat minibus for a very competitive price, and the quality of the service was fantastic. Martin, the driver, was attentive, helpful and professional. He was extremely friendly and flexible with small changes regarding the journey to make the day run as smoothly as possible for us. The vehicle was clean and comfortable, and Martin played great music! Communication with the driver was also easy and clear throughout the day. My colleagues really enjoyed themselves throughout the journey, I have absolutely no complaints. We will definitely hire Martin's coach service again for any future trips." "Fantasic. Couldnt recommend more. At first, i was concerned about how competetive the price was. Turns out i had nothing to be worried about. Superb service. The vehile was clean and comfortable. Happy to stop for a toilet break. Driver was on time, 20 minutes early in fact. Nothing bad to say. Look forward to using your guys again." "Excellent service throughout! Great communication and very competitive pricing. Would hire again." "Martyn arrived early and rang to let me know he was here. Spotless and comfortable bus. Martyn made sure we were all comfortable and safe before setting off. Offered us a comfort break and was very flexible with pick up times. On the way back, we were delayed by an hour due to an accident, Martyn played fab music and stopped for a break and food half way home. I thoroughly recommend Martyn and will use him again with no hesitation." "I would recomend 100%, very competitive price and helps to have the luggage trailer, Martin the driver is very polite, well spoken and helpful. on time for both trips and the bus is great dont look any further if you want a great company"
"Very friendly and helpful driver. He wasn’t afraid to put on some tunes and let us all enjoy ourselves. Would 100% recommend to anyone and would definitely use again."